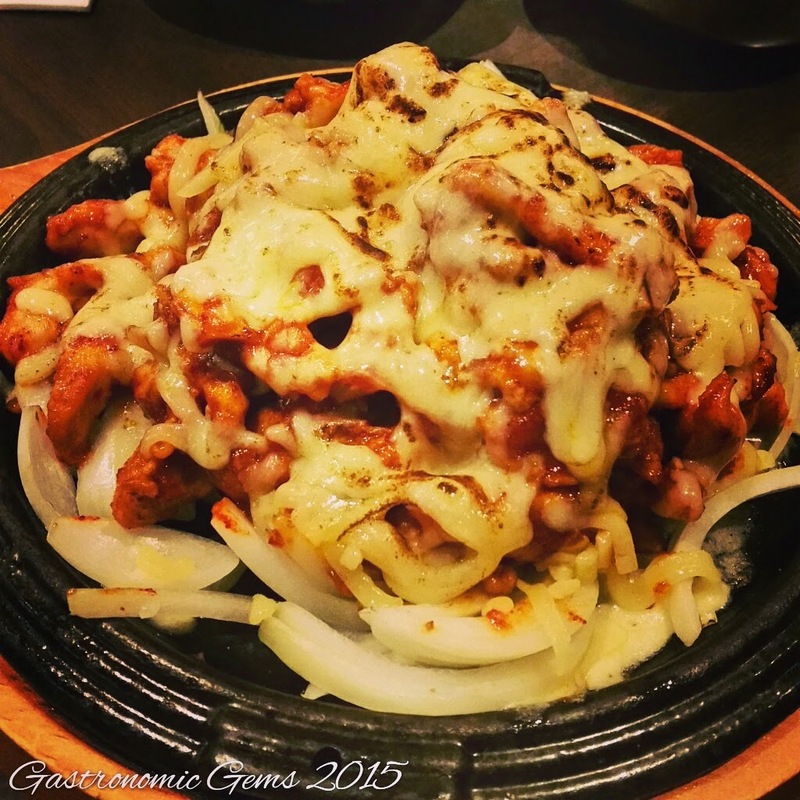 Chicken fillets in chilli sauce and mozzarella cheese - Don't let the three chilli symbols put you off from ordering this. You can ask for a milder version. It is cheesy and slightly spicy. Quite a large portion of moist, tender chicken, it is seriously addictive and delicious. 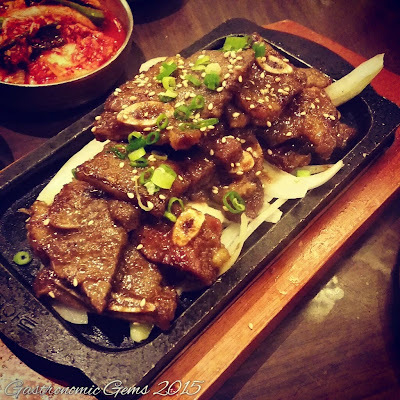 Sizzling Korean beef ribs - You can't go wrong when ordering beef at a Korean restaurant. It is tender, smells incredible and sizzling away when it arrives at the table. The ribs are tasty and go perfectly well with the sides that accompany your meal.